More than 100 million people could be pushed back into poverty within 15 years due to rising temperatures and extreme weather, the World Bank has warned. In a new report released Sunday, the World Bank said climate change was already preventing people escaping poverty but the situation could get much worse. 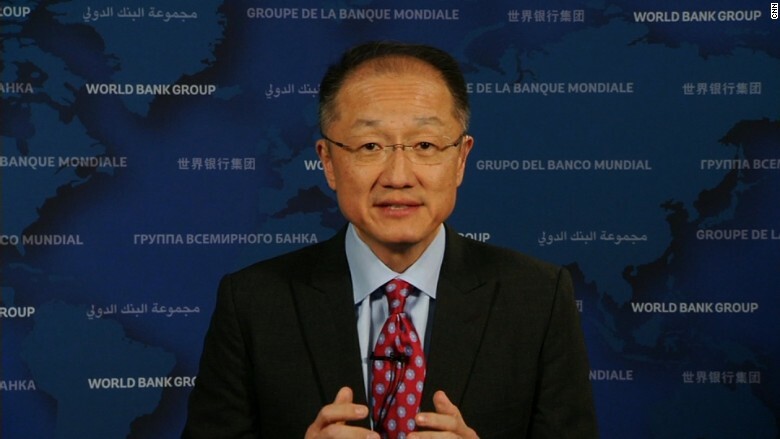 "This report sends a clear message that ending poverty will not be possible unless we take strong action to reduce the threat of climate change on poor people and dramatically reduce harmful emissions," said World Bank Group President Jim Yong Kim. Crop failures due to drought, big rises in food prices after "extreme weather events," and a higher incidence of disease following heat waves and floods would hurt the poorest the hardest, the World Bank said in a statement. The report found people in Africa and South Asia were especially vulnerable. Stephane Hallegate, an economist who led the team preparing report, said that the future for these 100 million people was not set in stone. "We have a window of opportunity to achieve our poverty objectives in the face of climate change, provided we make wise policy choices now," he said. That would mean tackling the cause of climate change by reducing greenhouse gas emissions, as well as taking steps to reduce the impact on the poor such as improved social safety nets and healthcare, building better flood defenses and developing climate-resistant crops, the report said. The report comes roughly a month before top officials from around the world will attend the U.N. Climate Change Conference in Paris. Previously, Nature Climate Change published studies indicating climate change could make parts of the Middle East too hot for human beings to survive.